Description: Updated to perfection! 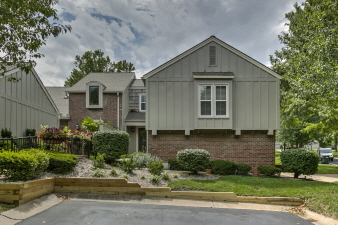 Premium leawood location close to everything! Nothing to do here but unpack! Remodeled from top to bottom. Very open plan w/hardwoods, remodeled kitchen w/stainless appliances, granite, gas cooktop, 2 pantries, breakfast rm & dining rm. Grt rm w/fireplace. Huge master suite w/remodeled bath & walk-in closet. Generous secondary bedrooms. Finished rec rm w/tile floors. New wood stairs, iron spindles, paint, hardwoods, appliances & more! Private fenced patio area. This home is a perfect 10!